Get use of iOS8 Share Extension and simply transfer files from iPhone and iPad to iOS and non-iOS devices without the need to open any app on your device or install any app on the destination. • Handy Tool: No need to open any app, just use iOS8 Share Extension to transfer files. 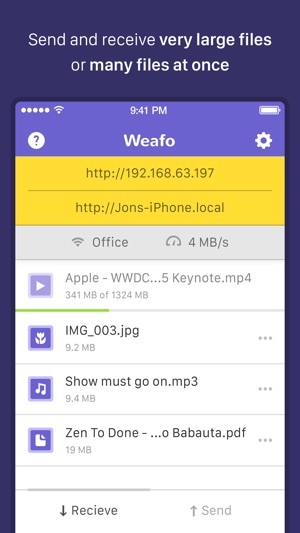 • Easy to Use: No need to install app on your computer(or other devices) just open a browser and enter the IP address Weafo gives you. 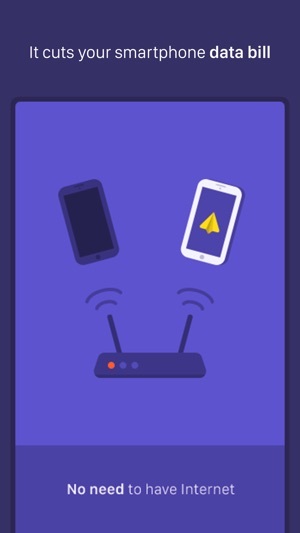 • Cable Free: Transfer files to your computer without using USB cable. 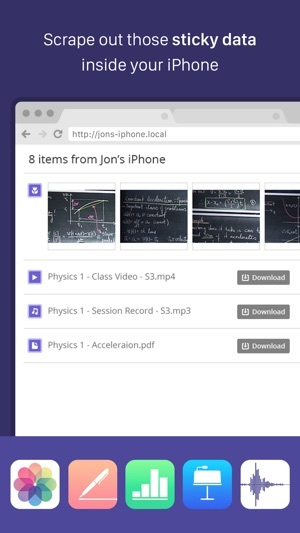 • Group Transfer: You can transfer files to more than one device simultaneously. 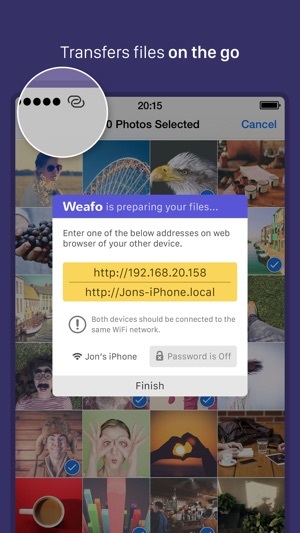 • Weafo Compression: If you want more speed, if you want to stay organized, Weafo compresses several files into a single ZIP archive for you. • Safe transfer: You can set a password before start transferring to prevent strangers access your data. 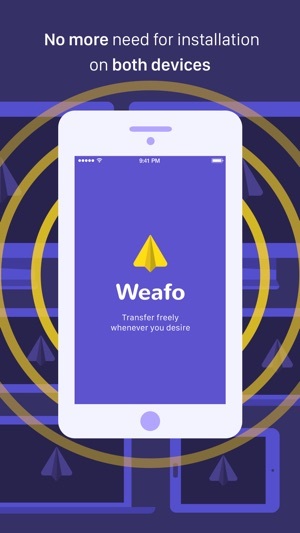 Please don’t hesitate to get in contact with us via weafo@marblzz.com, or @WeafoApp on Twitter, even if it’s just to say Hi! Bug fixes and stability improvments. 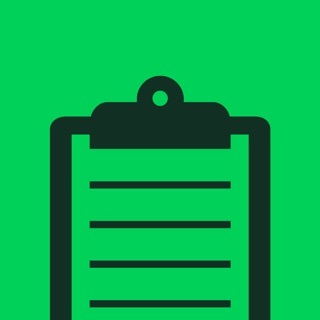 If I sending pictures from camera roll via this app I have wrong format, name and size. So if I download not packed picture - I download in png format, but picture in the camera roll in jpg format. If I download packed picture and after unzip it - I have a large size picture approx in x2 lager if I downloaded by cord. Name of picture is different if I downloaded it by cord and via this app. 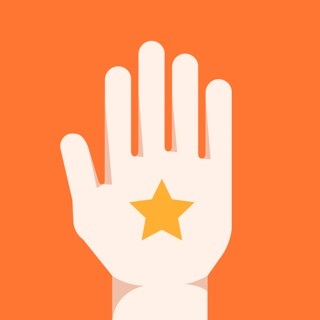 Using this app, you can share your videos and photos easily.